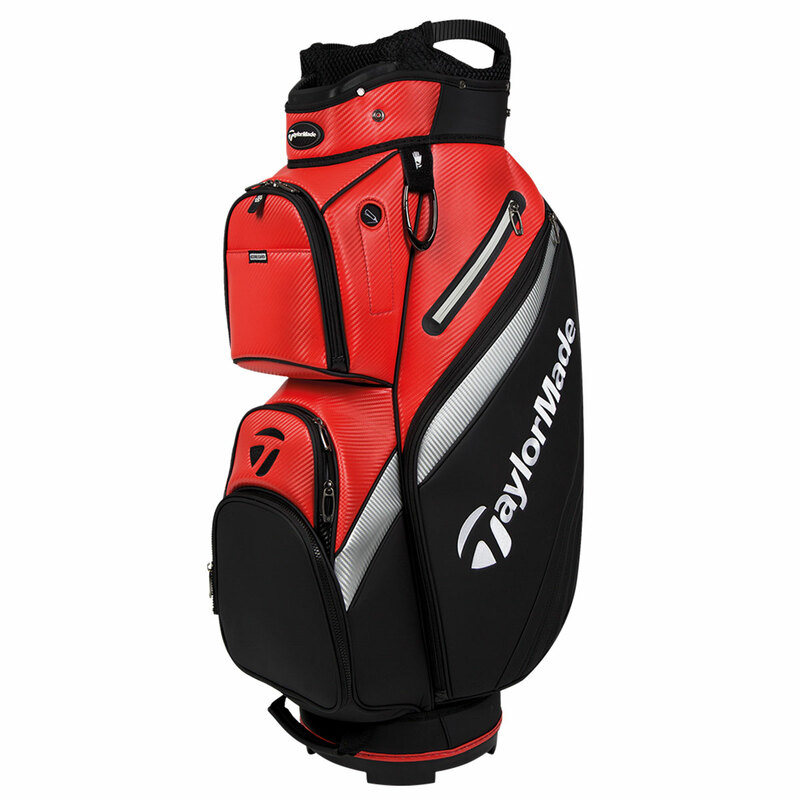 This highly durable and premium golf bag has a massive array of storage and organisation for your round of golf. 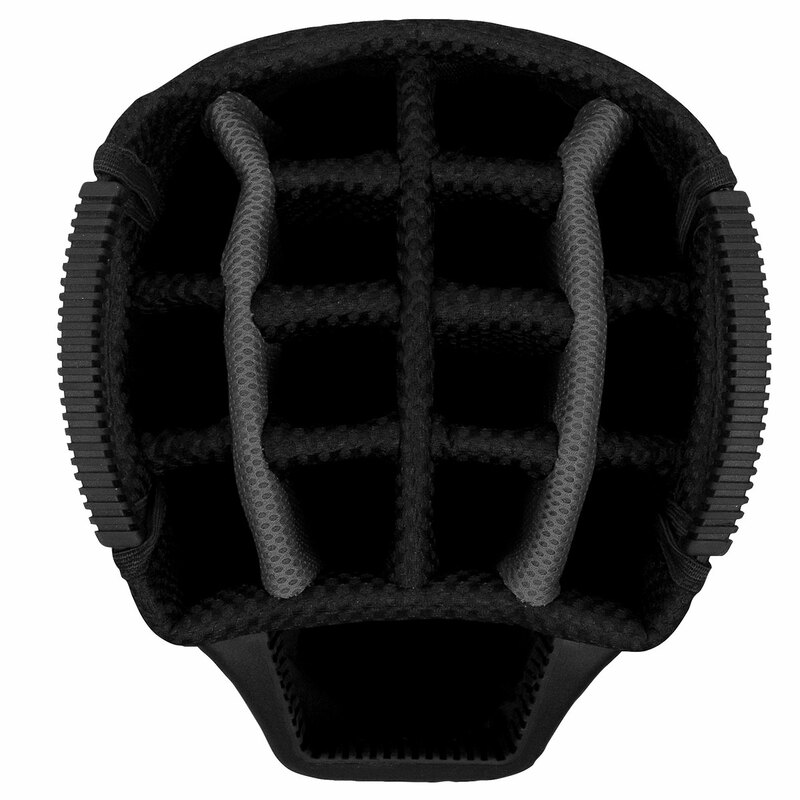 Built with durable polytube construction with anti-wear patch for long lasting durability. The bag has an expandable clothing pocket, and has waterproof storage, cooler pocket and many more, 10 pockets in total. To keep you fully organised the bag has a large 10" top, with 15 full length colour coordinated dividers for easy club selection and retrieval. The bag has a key lock base to fit securely on most trolleys, and has an integrated oversized putter well, and umbrella well for instant access. The design is complete with a towel ring, detachable rain hood.The bag weighs 3.9kg and has a padded shoulder strap for easy carrying.